Zilaro’s roots in winemaking run deep — his father helped his grandparents make their own wine in the basement of their home. After making his way to the West Coast as a young adult, Zilaro wanted to be true to his family’s winemaking culture and he wanted to “do it for real.” That meant clearing out his garage, forgoing the premade bags of crushed slurry that many amateur winemakers lean on to get started, acquiring the bulky equipment for the lengthy and complicated steps that go into making bottles of wine, and getting to work. Zilaro ordered 200 pounds of cabernet franc grapes from an American Viticultural Area (AVA) in central California (enough to make about five cases of wine) with the simple goal in mind of making some decent wine to enjoy with the meals he cooked. Lots of hard work later — as in, 12 or more hours of de-stemming 200 pounds of grapes in his garage with his buddy — he’d found that the wine he made was actually quite good. So good, in fact, that the five cases he made didn’t last very long among his family and friends. Soon after, Zilaro decided to expand his winemaking endeavors and, in 2009, ventured from his garage to a larger winemaking facility in Temecula. He began pursuing relationships with small, family-owned wineries from central and Northern California to buy grapes in larger quantities, hoping to bottle high quality wine in Southern California using grapes from AVAs to the north. 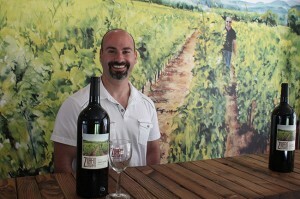 He quickly — and happily — learned that the winemaking industry is a family-oriented business. Zilaro said of his experience developing relationships with other vintners, “I get to work with people who love what they do, take pride in it, and want to see you succeed. It’s not cutthroat or competitive. It’s more like art — subjective, creative — and the people are warm and friendly.” It’s so much like art, in fact, that Zilaro, who has his master’s in chemical engineering from Arizona State University, described the process as far more intuitive and artistic than technical. He explains that winemaking is much like cooking in that sometimes measurement and methodology is important, but more often it’s intuition and experimentation that makes it good. You’ll be able to enjoy these wines and several others — such as his 2011 traditionally bold and jammy cabernet sauvignon, his 2009 and 2010 French-oaked pinot noir vintages, and his soon-to-be-released first blend — the aptly named “Coronado Blend” — at the newly opened Zilaro Cellars tasting room, at 1113 Adella Ave. 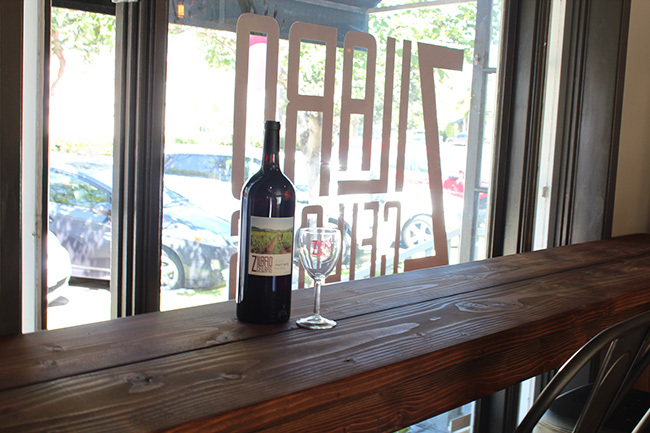 Menu options include a five-taste wine flight with complimentary Zilaro Cellars glass for $12, glasses of wine for $8-$12, and whole bottles for purchase. There is also a wine club that offers quarterly shipments of three bottles each and discounts on tasting, glass, and bottle purchases. Head in to enjoy some good wine that has an artistic and intuitive side. Try a flight or a glass of one of Zilaro’s artistically made wines while overlooking Adella Avenue.